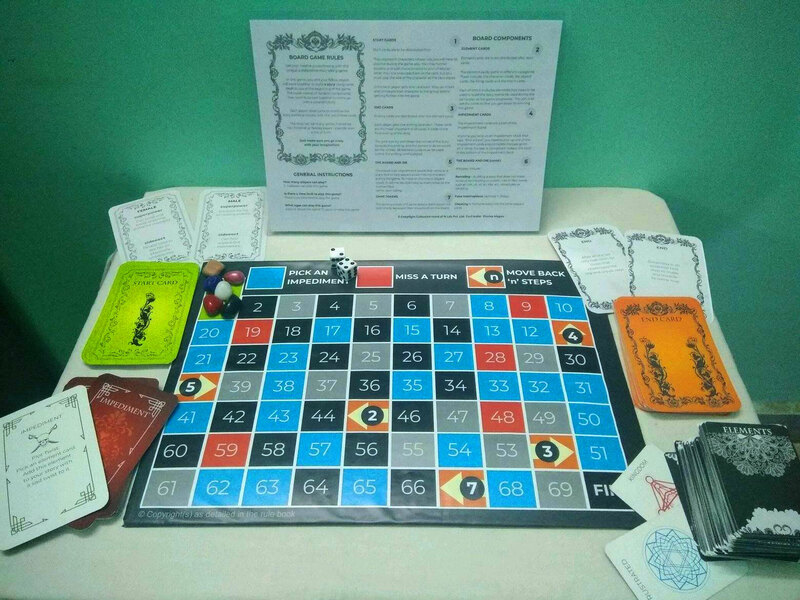 A recent addition to our growing platform of games is a board game we developed to counter the infamous ‘gender bias’. The board game is a unique collaborative story-telling game that is bound to get your creative juices flowing. In the game, each player takes turns to build a common story with the help of a certain set of cards dealt to them at the start of the game. The game consists of fantasy and counter-stereotypical components – each player takes on a character and narrates the story using this “out-of-ordinary” characters. Characters that have brief information about them in the form ‘superpowers’ and ‘side effects’. Elements that players need to use within their narration. Stories for the players to veer the story towards their own end. The player who uses all the element cards and ends the story their way, Wins! Each time a player makes a mistake, they are supposed to move on the impediment board by rolling a die. Impediments could be of the form of a task or to skip the next turn – depending on the block they land on the board. The game builds on the concept of role play and perspective taking to create a kind of implicit and subtle realization among the players. Each of the endings are self-reflective in nature that really allows the message to pass on subliminally. 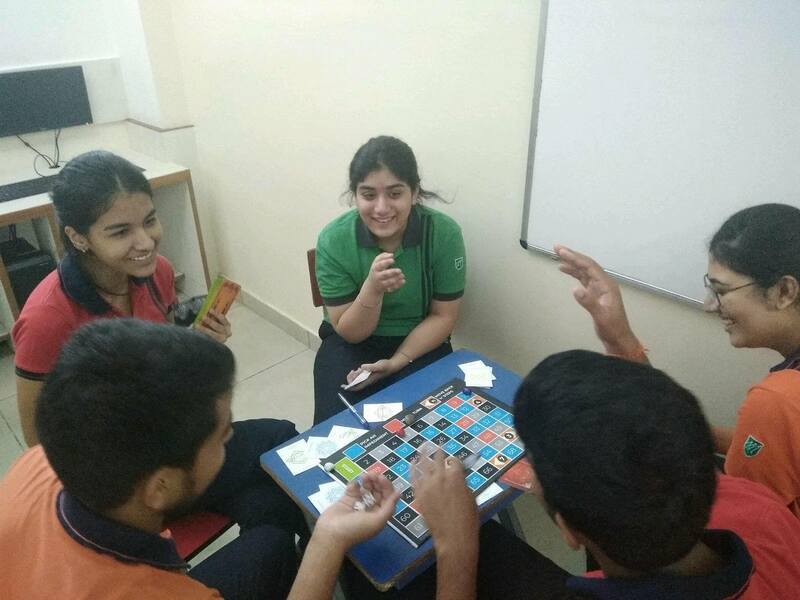 This board game is built to counter gender bias; however we plan to extend such a format to counter other kinds of biases that come up in the social and organizational spheres. Currently, the game is being tested among high school students (15-18 years) in Jalandhar. We hope to see some exciting results, stay tuned! This board game was built in collaboration with Prerna Magon, a 17-year old high school student from Jalandhar. Researcher with Collective Mind of N with a Triple Majors in Psychology, Sociology and Economics from Christ University. Copyright © 2017 Collective Mind of N Lab Private Limited. All rights reserved.